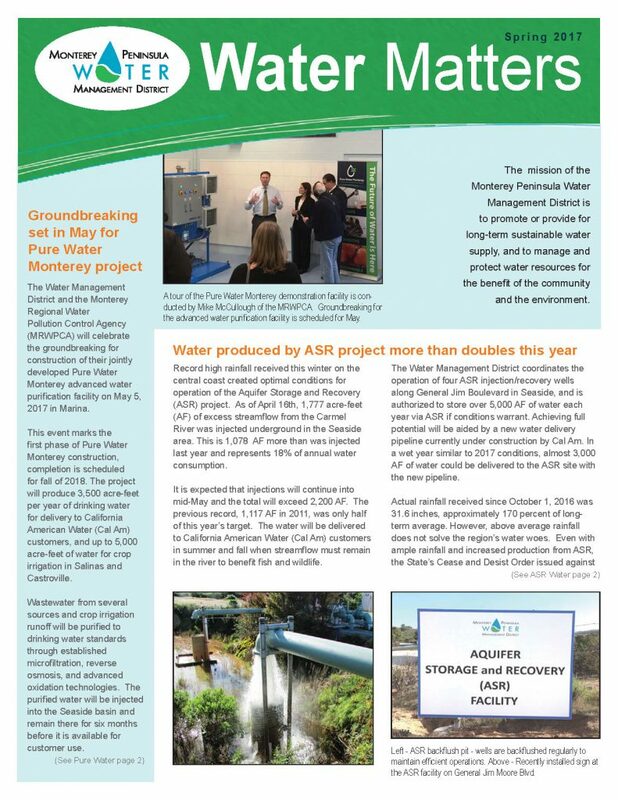 The spring issue tells how abundant rainfall was a boon to operation of the District’s Aquifer Storage and Recovery project. The result is a dramatic increase in the amount of water stored underground for future use. 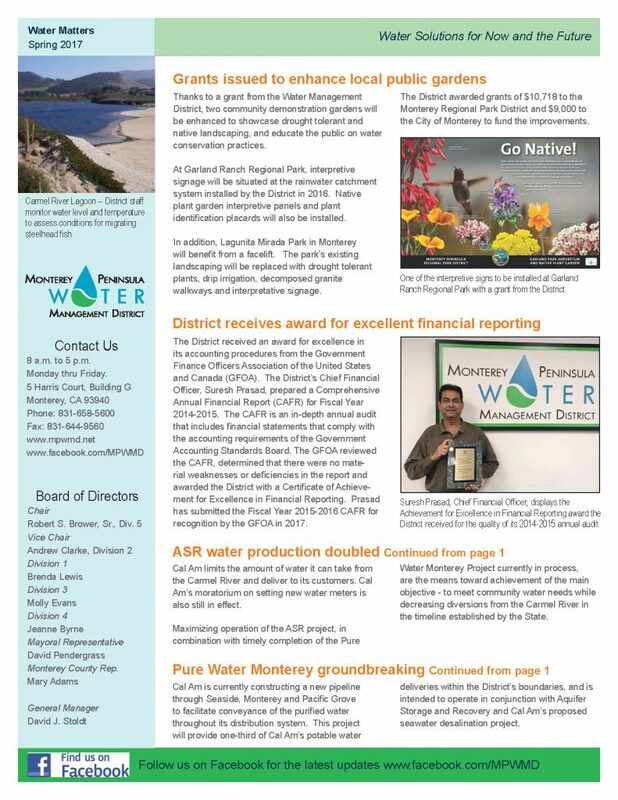 We update you on the May groundbreaking for the Pure Water Monterey project. Also, we boast that the District was recognized for excellence in financial reporting by the Government Finance Officers Association.